Canada is celebrating its 150th birthday this summer, so I thought it would be interesting to look at one of the most important aspects of it becoming the developed, cross-country country that it is…the Canadian Pacific Railway. This artery of transport and tourism, now over 20,000 kms of track, finally unified the provinces when the last spike was hammered in on November 7, 1885...just 18 years after Confederation. 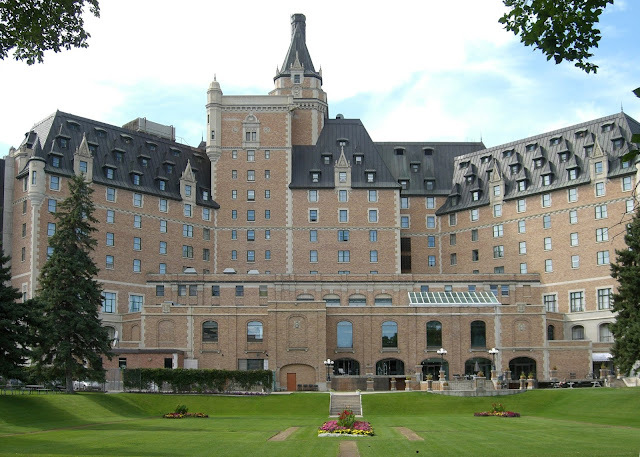 Anyone who has traveled through Canada has surely seen one or two (or more) of the stunning, chateau-like hotels that are sprinkled throughout the country. 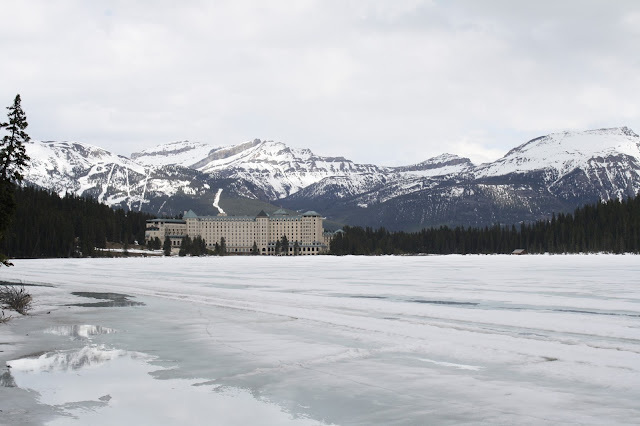 Not coincidentally, these hotels were placed in some of the most picturesque locations along the Canadian Pacific Railway line by the company itself. During the building of the longest railway ever constructed at the time, the company had acquired lots of land throughout the prairie and western provinces. In order to encourage settlement out west, CPR began to offer packages to Europeans. The company created enticing advertising campaigns offering passage on a CP-owned ship, travel on a CPR train and a plot of land starting at $2.50/acre. The only caveat: the land needed to be cultivated. The idea of the Canadian Pacific Railway developing grand railway hotels came from the company’s then vice-president, William Van Horne, who said, „If we can’t export the scenery, we’ll import the tourists“. 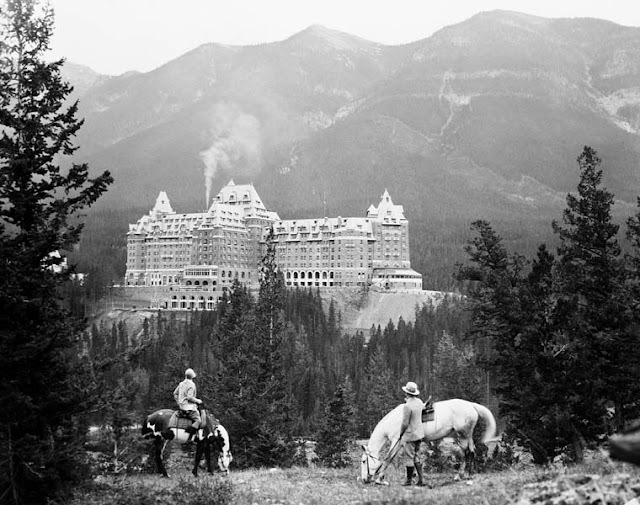 Van Horne set about hand-picking the site of the first such hotel, the impeccable Banff Springs Hotel, set at the edge of Bow Falls in Banff National Park. Built in Scottish Baronial style to resemble a castle, the original architect, Bruce Price, was one of the afficiandos of building Chateau-style. This type of architectural design went on to become an actual Canadian 'thing' with turrets and towers joining the picturesque Canadian landscape from sea to sea. Growing up in Calgary, Banff is like a second home to me. 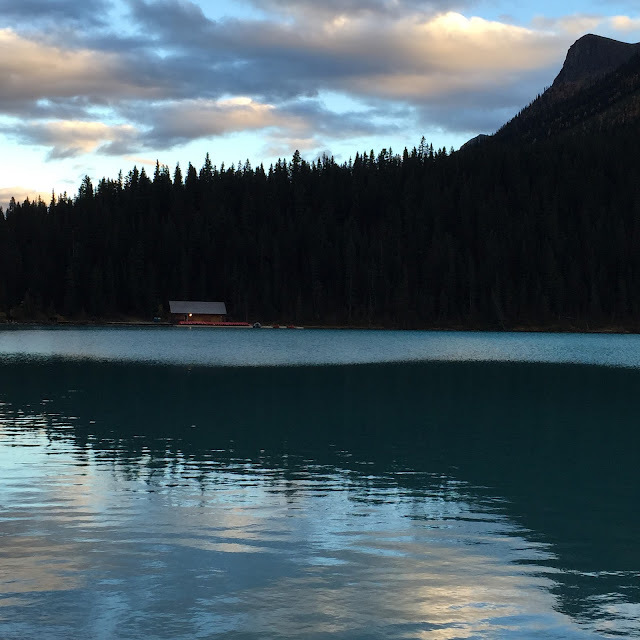 My father was born in the mountains of southern Germany and therefore spending time in the mountains of Alberta during winter and summer was a common experience for our family…and still is. 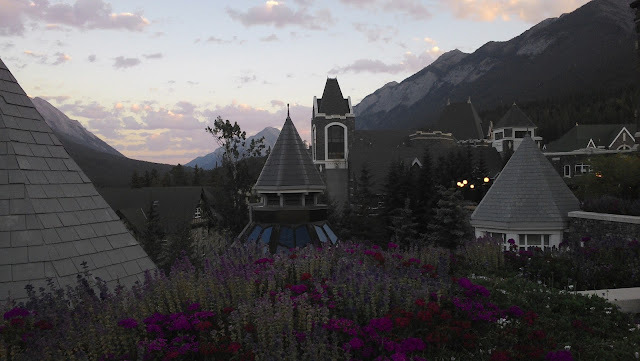 I have organised weddings at the Banff Springs Hotel, have taken countless number of tourists through its corridors, have romped about on the golf course and alongside the falls, and even honeymooned here. But it's not just meaningful in my personal history, it is an iconic part of Alberta, hosting famous faces, such as Winston Churchill, Queen Elizabeth, along with a whole host of Hollywood royalty, with no face more familiar than Marilyn Monroe. The rooms within the hotel also have numerous stories to tell, if only they could speak. Mount Stephen Hall for example, a medieval dining hall and event space, is the most popular wedding location in Alberta. 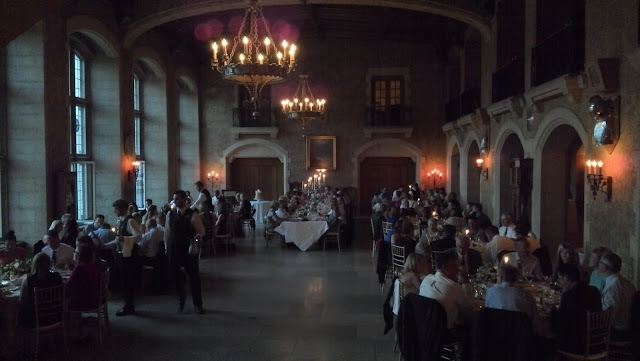 This gorgeous space is dedicated to the first president of the CPR, Lord Mount Stephen, whom Van Horne took the company over from in 1888. 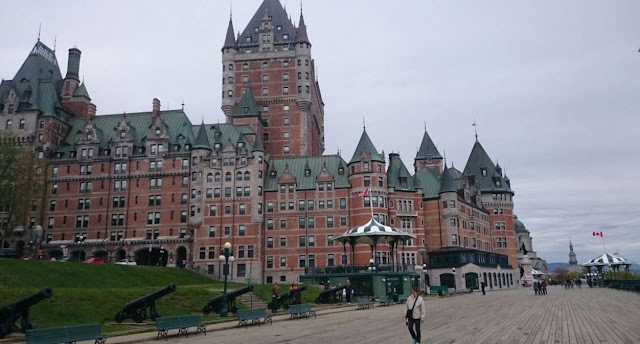 Directly following the construction of the Banff Springs Hotel, the continued design of further Chateauesque railway hotels, this time on the other side of the country, included the impressive Chateau Frontenac in 1893, in Quebec City. Arguably the most photographed hotel in the world, Chateau Frontenac, who also has William Van Horne’s fingerprint on it, was built to rival the most elegant European hotels. Located in the old part of Quebec City, its home is also in what most people would say, the most ‚European‘ part of Canada. The grand railway hotel to follow was the Empress Hotel in Victoria, British Columbia. Sitting on the edge of the Victoria harbour, the Pacific Ocean lying at its feet, the Empress Hotel is an impressive sight to behold and a very popular tourist attraction. The Empress is not just beautiful on the outside, but remains decorated with turn-of-the-century charm and elegance...while serving possibly the grandest high tea in Canada. 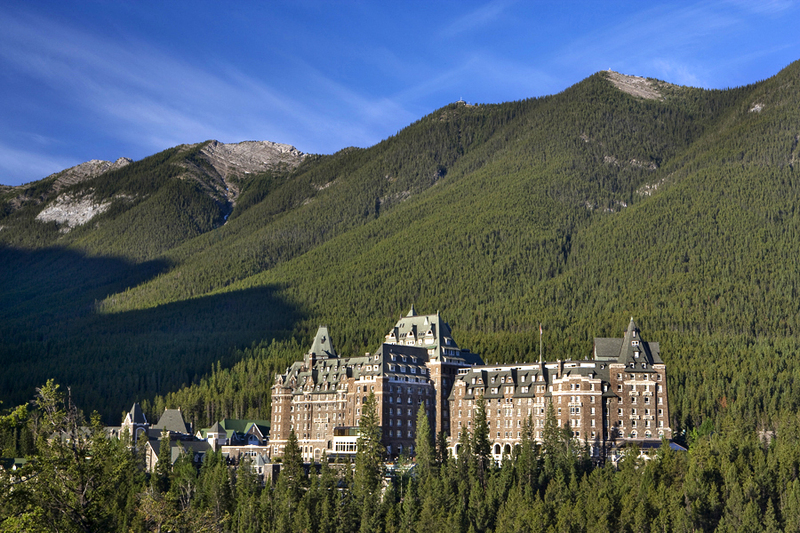 My favourite of the Canadian Pacific Railway hotels has to be Chateau Lake Louise, completed in 1911, and today a UNESCO World Heritage Site. I love this hotel quite simply because of its location. The lake on its doorstep, the mountains looming above, this place is magical at all times of year. 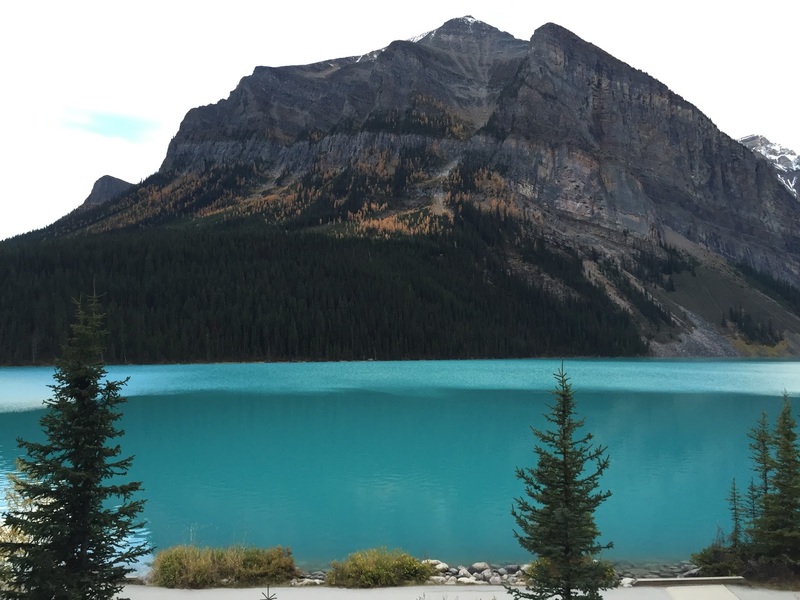 Not just Lake Louise, but the surrounding mountains lakes, like Peyto and Morraine, are already instagram stars in their own right. These are incredible sights to see, with turquoise colours so bright my boyfriend said that he’s sure they put something in the water – "like some sort of highly poisonous liquid". 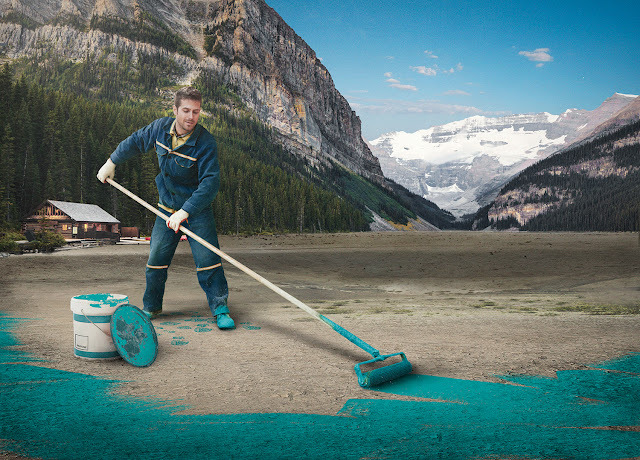 The colour is a result of the light refracting off of the rock flour; a minute fine dust the melting glacier erodes from the surrounding mountain. 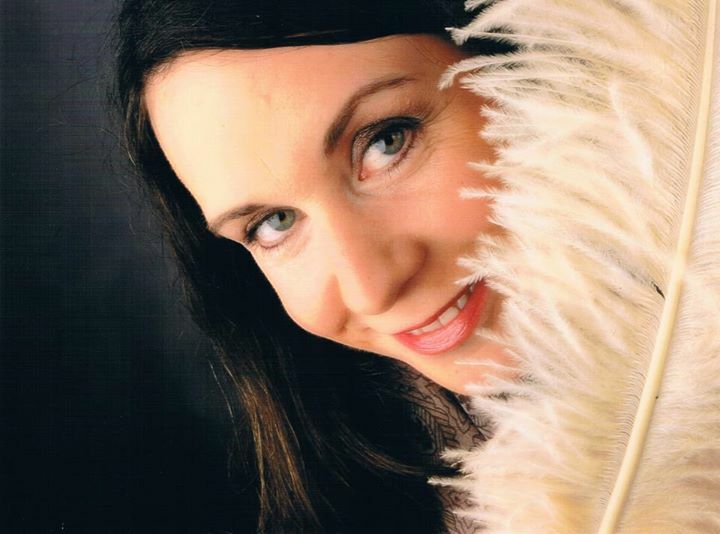 This creates the most incredible colours in a milky bright hue. Travel Alberta pulled off a great April Fool’s joke in 2015 which had people around the world actually dumbfounded, stating that every 100 years the lake bottom gets a fresh coat of turquoise paint. 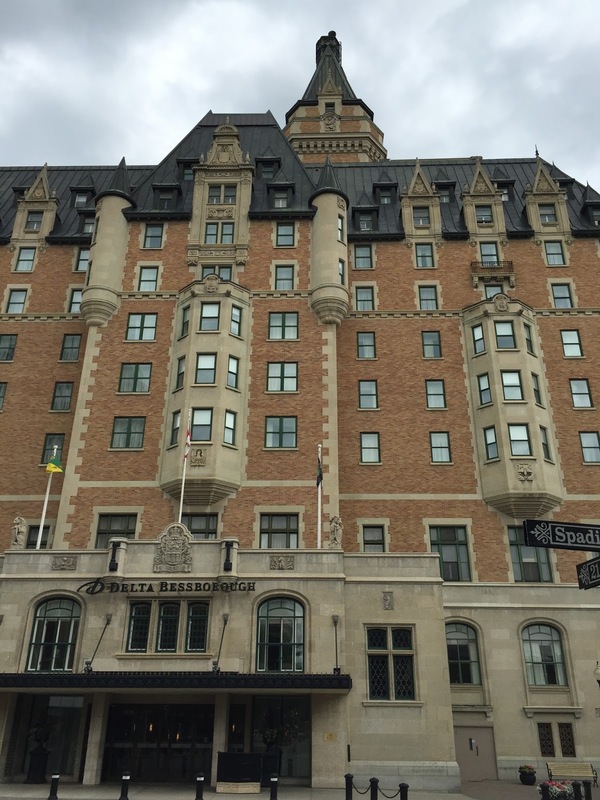 Moving eastward from Banff, across Alberta and into Saskatchewan, the next Chateau-style hotel that the CPR built, was the Bessborough Hotel on the North Saskatchewan River in Saskatoon. Officially opening in 1935, 'The Bess' (as locals call it) was designed by architect Francis Rattenbury to resemble a Bavarian castle. To this day, it remains the focal point throughout the gorgeous river valley. 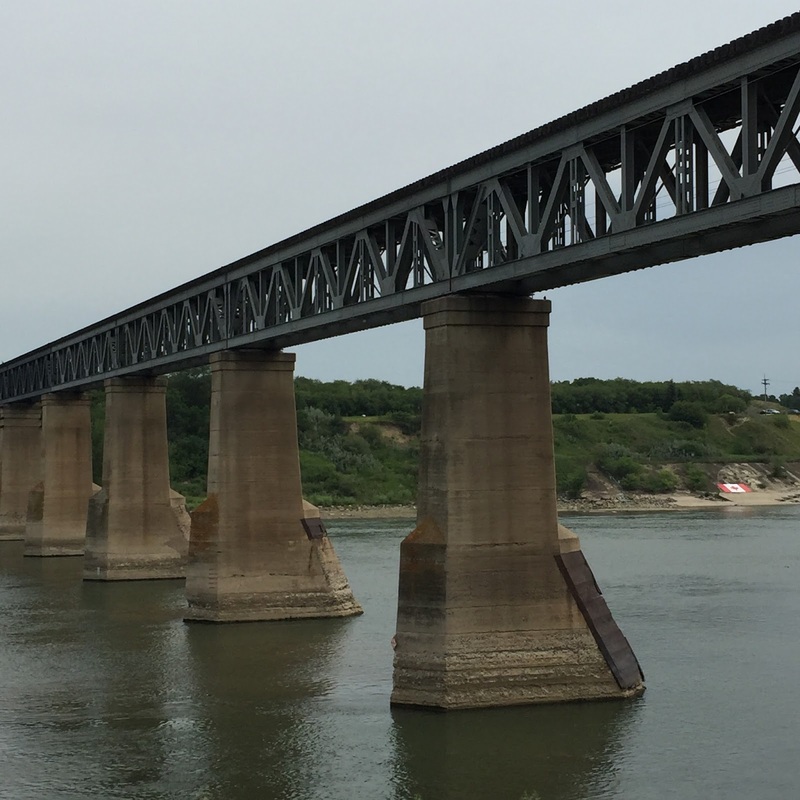 Joining all of the provinces with a railroad made it possible for the country to grow and unify, to develop out west, and to entice visitors to get to know Canada. Without the railway, the fastest route to get from Toronto to Vancouver had been a four-month sea voyage. The cross-country railroad was also a huge economic boost, allowing the fast movement of Canadian raw materials to get to either ocean port, and down south into the United States. Canada turns 150 years young in 2017, and thanks to its first Prime Minister, Sir John A. Macdonald, one of the visionaries of a unifying railroad, this beautiful country was built on the welcoming values of diversity, inclusion and acceptance. Not without its flaws of course, including the horrible stain of what settlers and government did to the First Nations communities already living on this land, I think that the good traits and its committment to reconciliation make Canada the best place to grow up in…and that I can say from first-hand experience. Happy Bday my beloved country...thanks for being you.